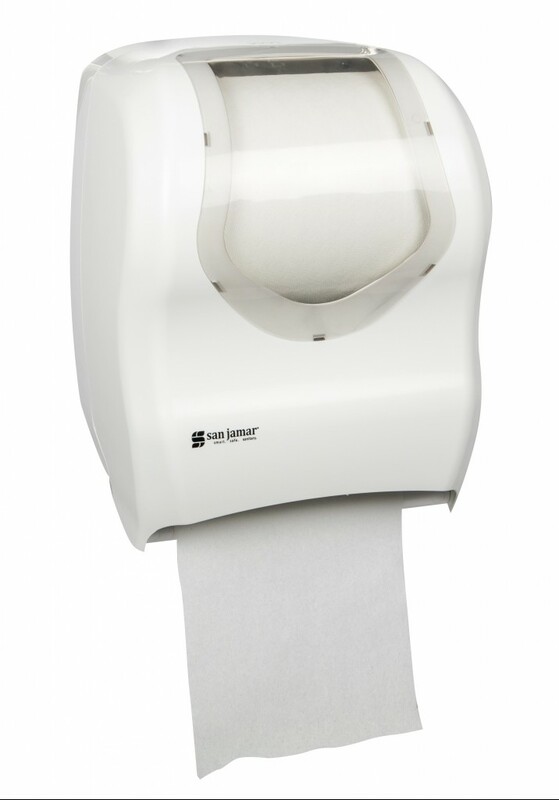 Enjoy efficient and dependable electronic roll towel dispensing with Tear–N–Dry. 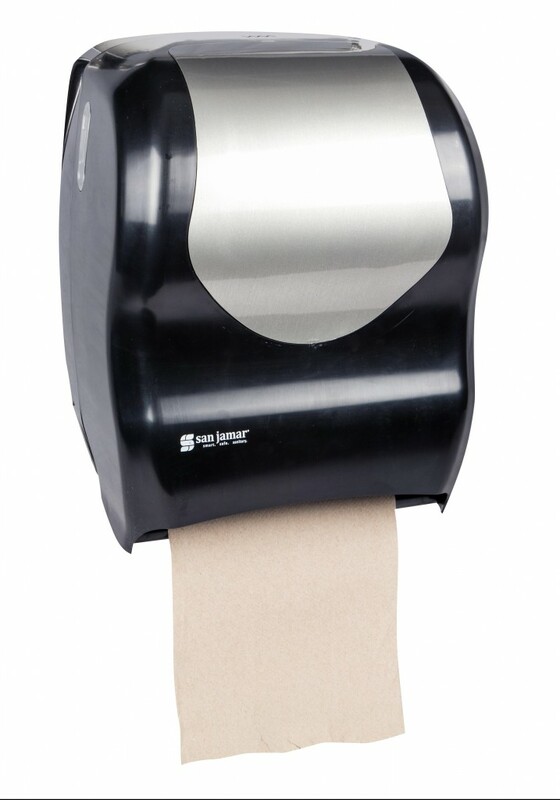 Tear-N-Dry consistently dispenses 10" paper portions without wait, making it an ideal choice for high-traffic environments. 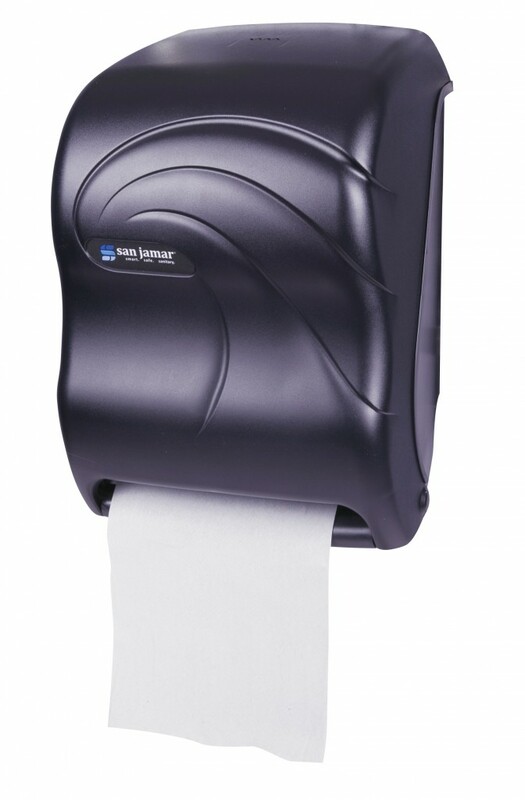 This affordable, low-maintenance dispenser boasts the longest battery in the industry. 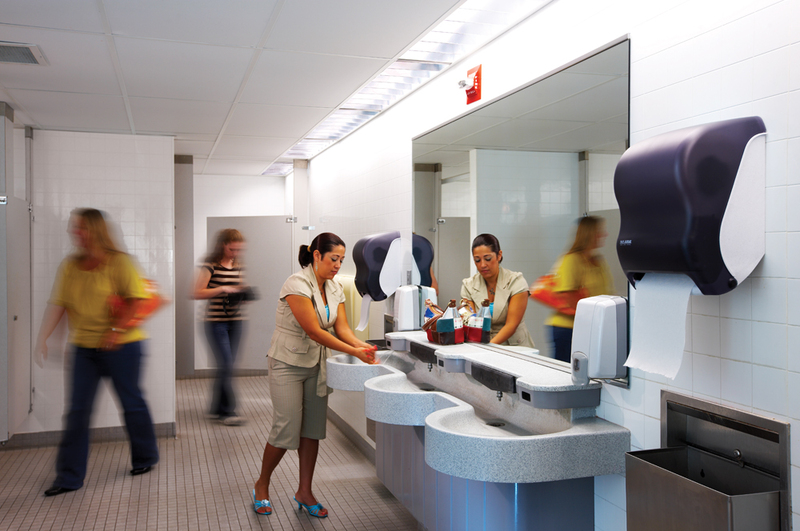 The Infinity System®automatic transfer system eliminates stub roll waste. 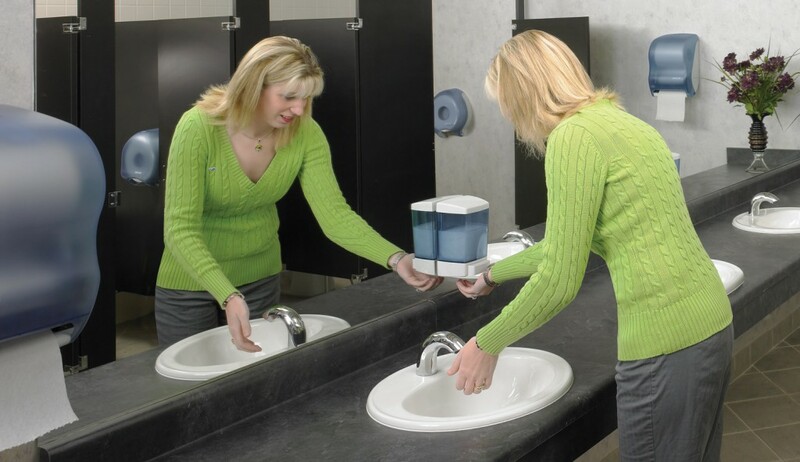 And, Tear-N-Dry is simple to install. 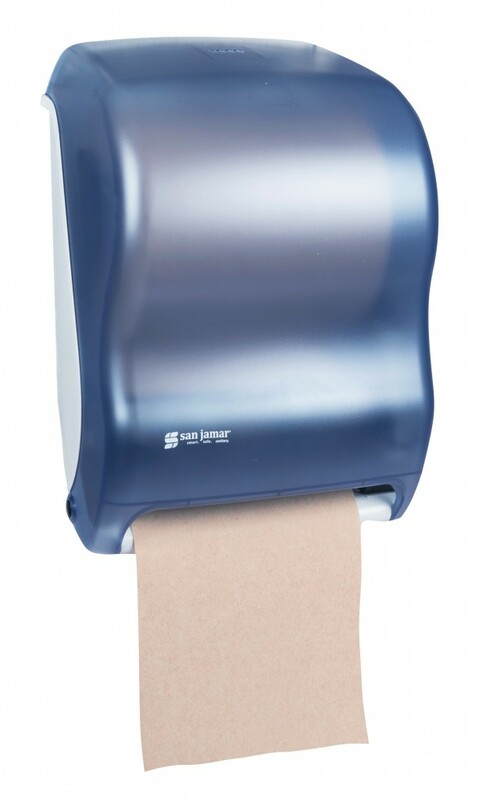 Just mount, load paper and you are ready to go. T1300* TBL, TBK 8˝ wide roll (200 mm) dia. T1390* TBL, TBK, WS 8˝ wide roll (200 mm) dia. 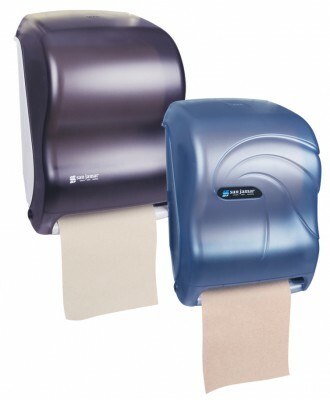 Duett Standard Bath Tissue Dispenser The Duett Standard Bath Tissue dispenser delivers dependable tissue dispensing in an attractive, compact unit. 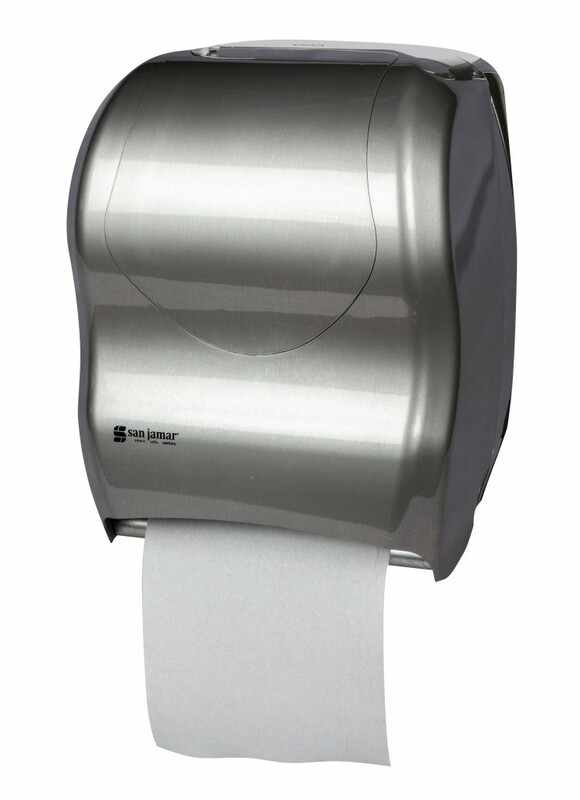 The Duett features the Infinity System® which eliminates waste by protecting a visible fresh roll until the first roll is completely used.